Guangdong Sunte Solar Co., Ltd. 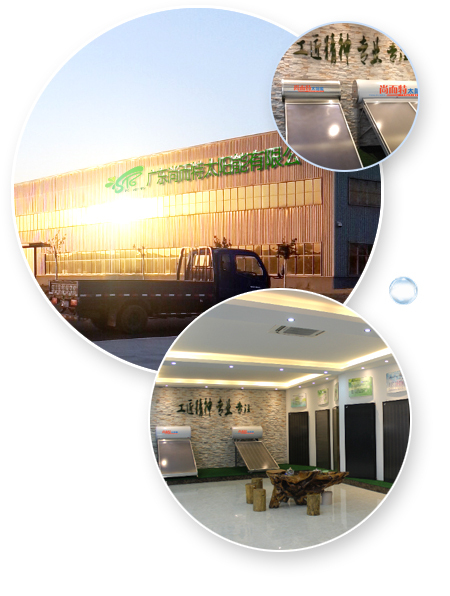 Founded in 2001, Guangdong Sunte Solar Co., LTD. is now one of the biggest manufacturer and the largest exporter of flat plate solar collector in China, long-term reliability and high quality are of the utmost importance to us. Our team has decades of experience and expertise in designing and manufacturing solar thermal products, including Flat Plate Solar Collector, Solar Water Heating System and Solar Heating Project solution. Within over 17 years of development, we have granted more than 20 inventions and practical patents, delivered about 2,000,000 m² of flat plate solar collectors, 5000 sets of residential hot water systems, more than 150 solar water heating projects. Our factory covers an area of more than 5000 m², employed more than 120 skilled workers, with modern automatic production equipment and storage facilities, the annual production capacity of flat plate solar collector tops 500,000 m². Sunte Solar has passed certification of ISO9001, ISO14001, OHSAS18001, Solar Keymark, SRCC, SABS, CE, CCC, etc. Our global business network covers in more than 20 countries across the Southeast Asia, Australia, Europe, Africa and South America. Over the years, we have built relationship with more than 50 solar thermal retailers, wholesalers and installers around the world by delivering exceptional price, quality and value. Finally, Sunte Solar becomes a worldwide parner of choice that providing reliable, innovative and affordable solar thermal products and solutions. As a company that involved in renewable energy industry, Sunte Solar has always been quickly grasping and incorporating the needs of the market into the development of products that satisfy customer, while contributing to a sustainable future that use clean and renewable energy.